Harvey & Harvey Photography is committed to respecting and protecting your privacy and complies with the relevant UK laws regarding privacy. - Harvey & Harvey Photography Website. We are Harvey & Harvey Photography, a partnership of Adrian and Claire Harvey based in Grantham, Lincolnshire, and providing photographic services. We comply with the Data Protection Principles contained within the UK Data Protection Act. We collect personal information that allows us to provide you with a professional service. The information may include (but is not limited to) your e-mail address, your name(s), your postal address, your telephone number, and the date you wish us to provide the service, and any background information that is necessary for us to deliver the service to you. We also collect images of you as an essential part of providing you with a photographic service. 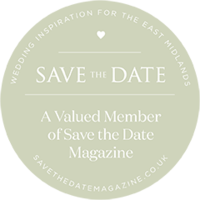 We collect your information through direct personal contact (for example by meeting you at a wedding fayre), directly via this website or our social media accounts, or indirectly via third party providers where we advertise our services. - Communicate with you verbally, electronically, and by post. - Provide you with relevant information about our services. - Manage our relationship with you as we prepare and deliver your requested service. - In the case of images, delivering you with a high quality photographic product. - Managing this website and any comments that you make on our blog. Your information is stored either electronically or in hard copy and we use appropriate technical and organisational measures to prevent unauthorised or unlawful processing of your personal information and against accidental loss or destruction of, or damage to, your personal information. We are not able to guarantee that any information transmitted electronically (e.g. via email or a contact form) is 100% secure during transmission. - When we are legally obliged to do so. - Where we need to in order to provide you with a service, e.g. regular email newsletters. We only do so when we have satisfied ourselves that the third party complies with the UK Data Protection Act and they have committed not to use your information for anything other than maintaining a service to us (in other words, they won’t sell your information or send you spam emails). - When by mutual agreement with you we publicise the service that we have provided to you, for example on a blog or in a printed magazine. Under UK law we retain the copyright to all of the images we create and reserve the right to use the images for the marketing and promotion of our photographic service, both electronically and in print, however we do not disclose your address, email or phone number. At your request, we will regularly send you informative and relavant emails about photography and the services that we provide. You may opt-out of our emails at any time by clicking the ‘unsubscribe’ link which can be found at the bottom of our email newsletters. Under the Data Protection Act you have the right of subject access to view the information we hold about you. You should make any such request in writing. Where necessary and to ensure that your information is not passed to others, either accidentally or as a result of deception, we may ask you to confirm who you say you are. If you are aware that any information we hold about you is inaccurate then please let us know and we will correct it. Once posted, you cannot change or remove any comments you have submitted on our website pages and/or blog posts. However, if you would like to have this information removed please contact us and we will do this for you. A cookie is a small text file that is downloaded onto your computer or mobile device when you visit a website. Cookies are used by many websites and can do a number of things, e.g. remembering your preferences, recording what you have put in your shopping basket, and counting the number of people looking at a website. The rules on cookies are covered by the Privacy and Electronic Communications Regulations. The UK Information Commissioner’s Office is a useful source of further information. 1st Party cookies are placed on your computer / mobile device by this website. 3rd Party cookies are placed by other websites. Session cookies only stay on your computer / mobile device for the duration that you are browsng this site. Although this website only looks to include quality, safe and relevant external links, Harvey & Harvey Photography cannot guarantee or verify the contents of any externally linked website despite. Users should therefore note they click on external links at their own risk and this website and its owners cannot be held liable for any damages or implications caused by visiting any external links. This website uses social media sharing buttons which help share web content directly from web pages to the social media platform in question. Users are advised before using such social media sharing buttons that they do so at their own discretion and note that the social media platform may track (using cookies on your computer / mobile device) and save your request to share a web page through your social media platform account. or use the contact form link in the menu. My name is ____________________________ and I'm contacting you about ________________________________________. You can get in touch with me at ____________________________ or ________________________________________.